Host, Carl Unbehaun, presents a cavalcade of songs by Minnesota songwriters along with his musical musings! Minnesota Homebrew plays everything from Bob Dylan to Bob Muscovitz. We aspire to provide a musical venue for Minnesota artists who haven't yet hit the big time, so go to our Facebook page to learn how to submit your original songs. 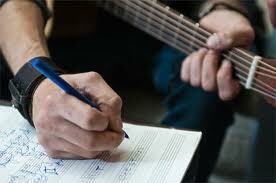 Coz without songwriters, there'd be no music! Minnesota HomeBrew Music Show - Fromm Millaway to RADDA RADDA!